I've been using Linux/GNU for almost ten years now, that was when I was still in high school, I always thought Linux based distros looked so cool and kind of mysterious, so then I decided to wipe off my Windows XP installation and move to Ubuntu, since then I have not looked back and I'm glad because not only i found a great OS but also a great group of communities behind it. I first got involved with the community by making GTK/CSS themes and small icon sets. Let's say I always found the visual part the most interesting, so I tried all the available desktop environments, visual appealing applications and themes. Among those apps, I always liked to check out the default music players of each distro and their set of multimedia applications. 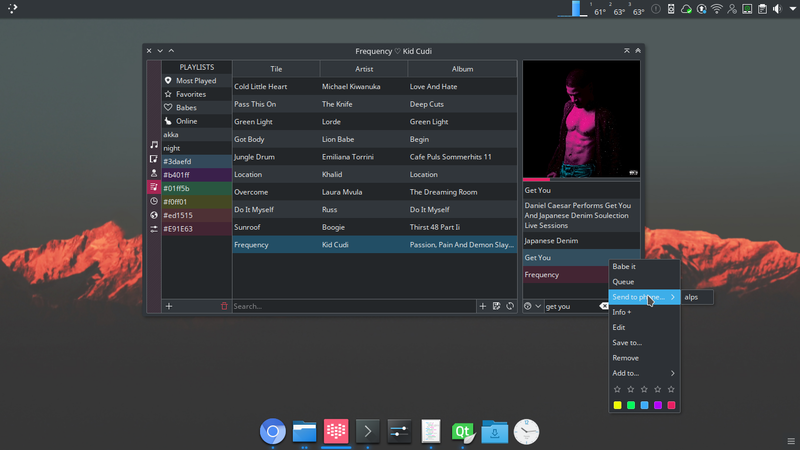 I can say I've pretty much tested almost all of the Linux music players that have appeared in the wild. Some looked cool, others boring, and they worked... some others were buggy as hell... and many others were a very nice and complete tool to manage your local music collection but didn't look that great or well integrated. I wanted to have a simple tiny music player that resembled a playlist where I could keep my favorite (Babes) music at the moment, I didn't care much about managing the whole music collection, as I didn't have much local music files anyway. I kept on using my small and kind of broken music player, but then I found myself using a lot the youtube-dl to get my music, given that most of the music I listen to is music that I've found/discovered while watching another (YouTube) music videos. That's when I decided to once again go back to Babe and make it fetch my favorite YouTube music videos. 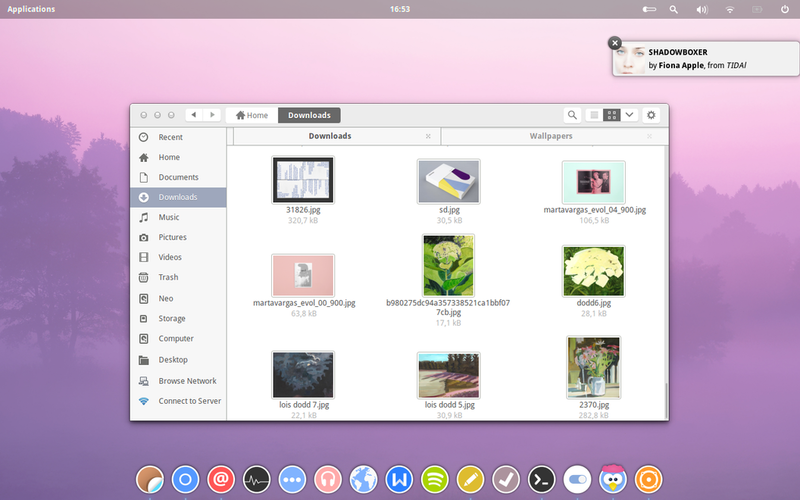 But by then I was using KDE/Plasma instead of a GTK based D.E. So i started learning about the Qt framework because I wanted Babe to look good and well integrated in the Plasma desktop. My plans for Babe-Qt were simple: fetch my favorite music and then play it in a tiny interface. But, oh well, my music collection started to grow and then I decided i could make use of a collection manager integrated when needed, to be able to create another playlists besides from my favorites (Babes)... and then I implemented a full collection view, artist, albums, playlists and info view. The "info" view then became really important: I wanted to be able to get as much information of a track besides the basic metadata information, I wanted to know about the lyrics, the artwork, the artist and the album. And even eventually I wanted to be able to find similar songs... and that is what Babe is now trying to aim at, but that's something I will tell you in a next blog post... I want to introduce a contextual music collection manager. Is there a chance that Babe will use baloo in future releases to share metadata and maybe even taggings/ratings with the rest of plasma as well as to get music to the collection? I'm not a developer. Just a Kde enthusiast. My music collection is large (80k+ tracks). I've used Amarok for years with no complaints. Lately, bits and pieces have stopped working. The most noticeable is no update to use https to connect to Wikipedia. And it is ungodly slow with a large collection. Just so you know, I wasn't kidding about alpha/beta testing. Sorry for taking so long to get back to you. I'll try following your instructions maybe later today or tomorrow. I want to be sure I have plenty time, in case something doesn't go as planned. FWIW, have you thought about releasing a snap package? Help would be appreciated. I don't compile from source very often, but I can follow directions. Hi there. I have a large music collection, too, about 89k+ songs. I will make an Arch linux package in the coming weeks so installing it will be a little easier. My current music manager is quite crash-happy, and I am looking for a replacement. I wish it had Google play music support like tomahawk. The project looks very well !! Thanks for the work. I actually use DeadBeef as my music player, because I care music Sound quality, and DeadBeef give me the option to output the sound via Alsa instead of Pulseaudio. (I would have preferred Amarok, but there is no option to use ALSA). Is it possible for you to add ALSA as an output option ? 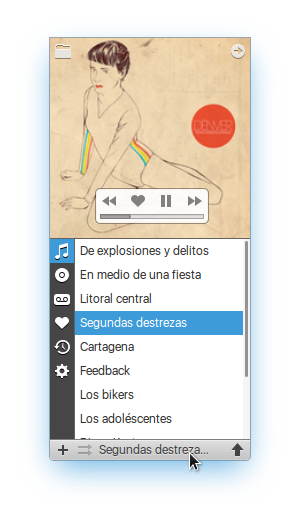 So, I really hope to make Babe the replacement of Amarok for KDE (DeadBeef, has great options and sound, but is not a good music library manager, and not so good integrated to KDE). I like the concept. Will there be support for a remote control interface? Maybe some integration with kde connect too? It would be good to have a simple playlist access and search, with volume, previous etc..